This BUNGALOW is absolutely ideal if you're THINKING OF DOWNSIZING & features 2 bedrooms on the main floor, south-facing vaulted living room & dining rm with gas fireplace, a bright island kitchen with 3 brand new Whirlpool appliances, spacious Master bedrm w/4 pce ensuite & bay window, 3-pce guest bath, a good sized 2nd bedroom, main floor laundry & fully finished bsmt. There is also a new long lasting & durable raised composite deck just off the living/dining rm to enjoy the sun from morning until evening. The lower level contains a 3rd bedrm, 2 finished rooms as dens or offices or storage rooms & a beautiful renovated 3-pce bath. 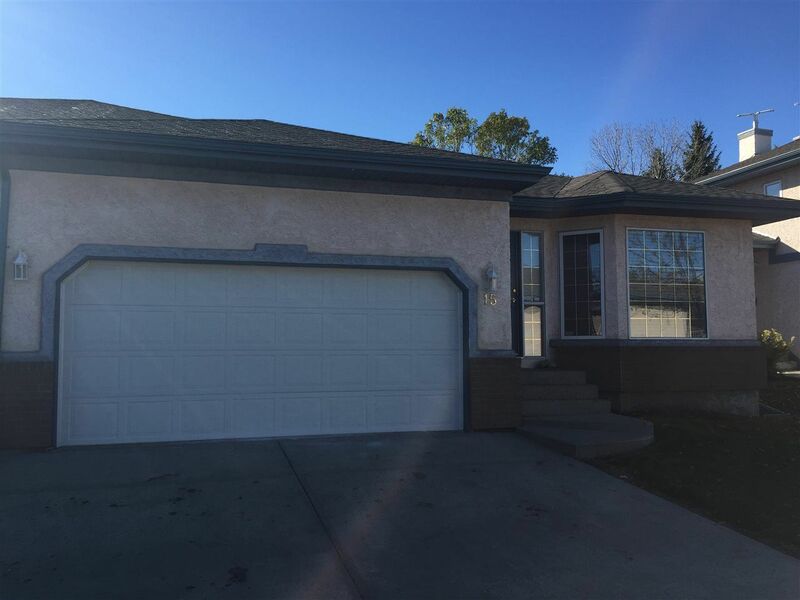 MAJOR UPGRADES in this cozy home also include complete paint on main & lower floor, new HW Tank, LED light fixtures, new carpeting on main floor & bsmt & 3 new kitchen appliances plus new doors, door casings & baseboards. Oh and did i mention the new HORIZONTAL BLINDS thru-out. It's a beauty you don't want to miss. TAKE A LOOK SOON.